I have another review for you today and it is on GummiBands. 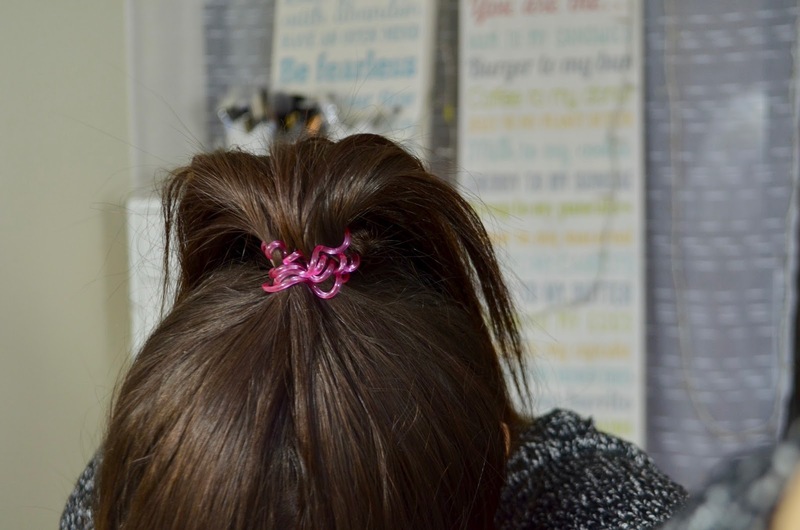 GummiBands are awesome hair cords that retail for $7.99 CAD on https://www.gummiband.ca/ and will make you never want to go back to regular hair bands ever again (at least that's how I feel about these)! I will have my full review in this post along with pictures of the bands in use and on their own. There will be a coupon code, as well as an awesome giveaway that I'm hosting so definitely keep on reading for that! 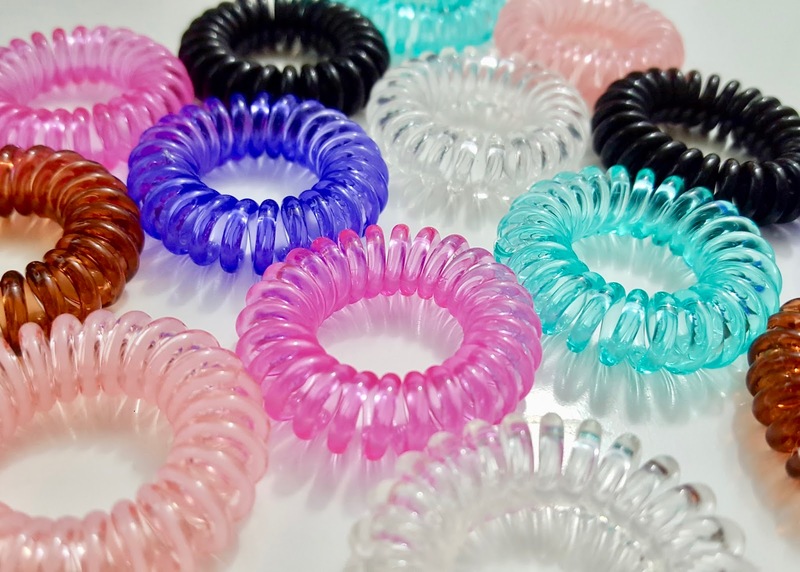 GummiBands come in several neutral an fun colours. The brand was nice enough to send me most of the colours, which I was very excited about. These GummiBands are all kinds of awesome! 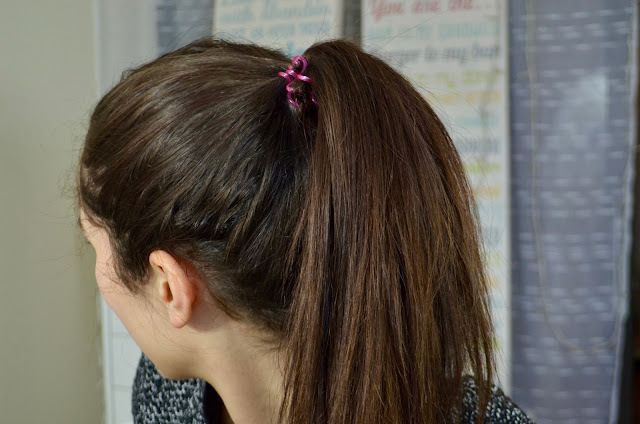 They work way better than regular hair ties on my hair—whether it's curly or straight—and there are a lot of benefits to using them that I will share with you. I learned a lot about these hair cords. After a long time of use, you can put them in hot water or blow hot air on them and they'll shrink back to normal! GummiBand gives you a one year warranty so if your bands break, you're covered! GummiBand is a Canadian brand that is 100% female operated. The GummiBands are only $7.99 CAD, and shipping is always free in Canada. Right now these are only available in Canada, but I won't be surprised if these start selling in other countries soon because they're awesome! As you can see, GummiBands really hold my hair well! I only have one in my hair in these pics, and I have A LOT of hair. 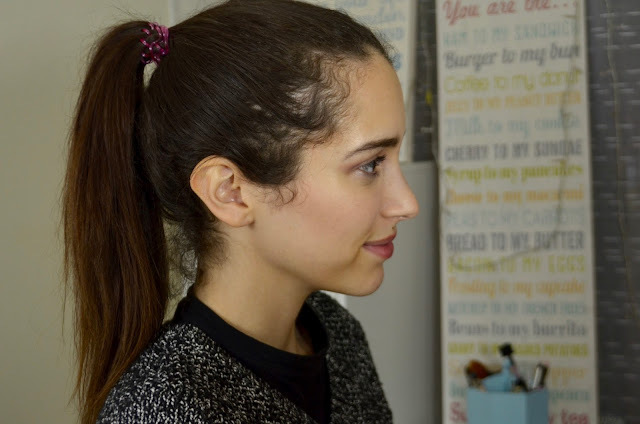 If you have super duper thick hair you can double up, but I only need one at a time—even if I'm wearing my hair curly! 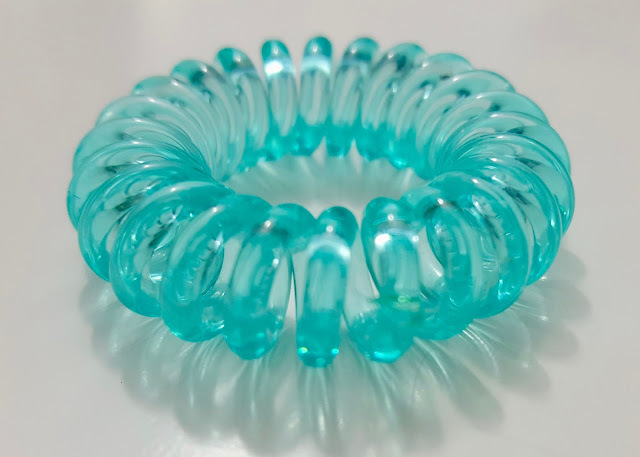 I have a coupon code for you if you're interested in purchasing GummiBands! Use my code BONUS32 when you purchase any 4-cord pack of GummiBands and you will receive 2 extra GummiBands for free! I told you at the beginning of this post that there was going to be a giveaway, so here it is! One winner will be getting 2 packs of GummiBands! The giveaway is posted on Instagram so you do need an account there to enter. You do need to be a Canadian resident to enter, but all of the rest of the rules are included in my post, so please click on the photo below or visit @beautybyamysousa on your app or browser to view the post and enter! Also: I found this cute picture on https://www.gummiband.ca/ and thought it was an adorable home decor idea if you have these, or anything colourful like this. 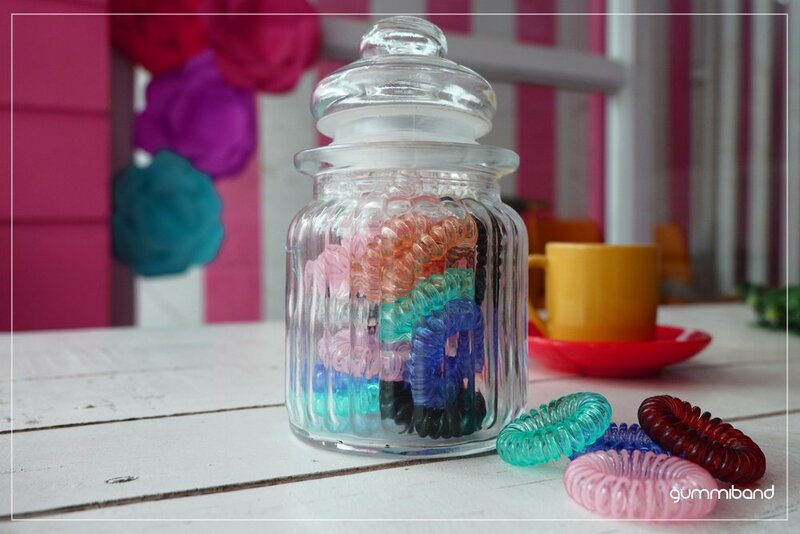 I now want to find a cute jar for me to store all of my GummiBands in just like this pic! That's all! 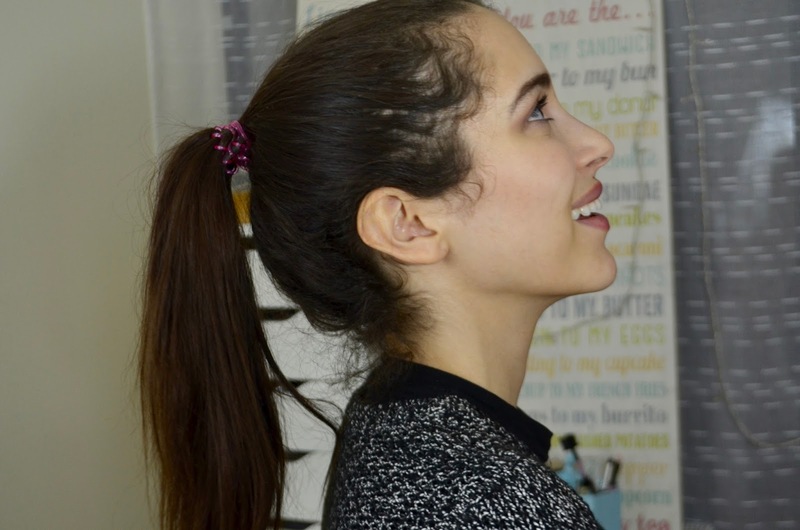 I hope you enjoyed this review, and please don't forget to enter my giveaway! It ends in under a week so go enter now!